Many of us have heard the idiom, an ounce of prevention is worth a pound of cure. It is an expression means that is much easier to avoid problems in the first place, rather than trying to fix them once they arise. This concept is one that I feel can be directly tied to your vehicle and it’s maintenance. Often times big problems can be solved quickly and far less expensively early on versus when something catastrophic happens to your vehicle. One easy way to ensure that you stay ahead of the 8 ball is to have a basic vehicle inspection with every oil change. When you do this not only are you able to catch little problems (like leaks) when they are still little problems, but you are also able to know ahead of time that larger repairs are coming (note that tie rods are wearing, or bushings are going bad, for example…). Make sure that you partner with a service station that makes periodic maintenance a priority. At Fox and Fox we include a free 32 point inspection with your oil change. If you haven’t had your vehicle serviced here in the past, we recommend you get a comprehensive vehicle inspection to give you a good picture of your vehicle’s health. Consider our pre-purchase inspection, family roadtrip/ back to school vehicle check up, or seasonal vehicle check up packages. It is just common sense that a well maintained vehicle is a long lasting vehicle. At Fox and Fox we understand that and we appreciate the priviledge to be your Total Care Care Professionals. With driving safety depending on the condition of your tires, you’d have every reason to invest in a fancy tire gauge. But, look in your pocket – you might already have the tire gauge you need. Got a Lincoln penny? Chances are you do, since the U.S. Mint has been cranking these out since 1909. 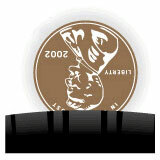 Because a simple Lincoln head penny is the perfect size, using one will make it easy to determine when to buy new tires. Pinch a Lincoln-head penny, from the base, between your thumb and forefinger, so that the top of Lincoln’s head and the words “In God We Trust” are showing. Place the top of Lincoln’s head into one of the tire tread grooves — try to measure in the lowest point within the tread. If any part of Lincoln’s head is obscured by the tread, you’re all set — you have a legal and safe amount of tread. However, if you can see above Lincoln’s head or any of the “In God We Trust” letters above his head, then you are ready for a new tire. If you’ve never bought a set of winter tires, you’re not alone. For many of us, it’s how we were raised. If you grew up walking to school in the bitter cold, you weren’t easily intimidated by Old Man Winter. But be honest now: Fond as those memories might be, you did get stuck a lot, didn’t you? And maybe crumpled some sheet metal, too? More than likely, it was because you lost traction on tires that weren’t made to grip icy or snow-covered roads. 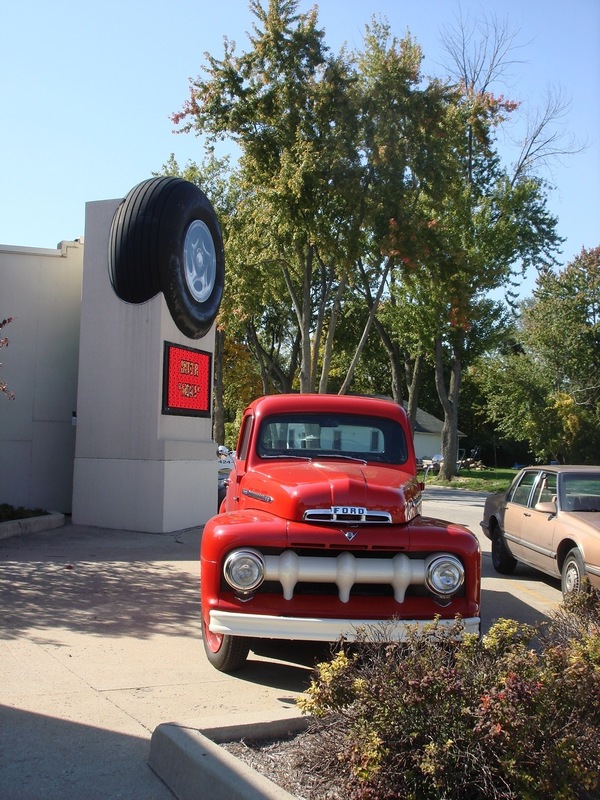 Tire technology has changed dramatically over the past generation. Indeed, it was 17 years ago when Bridgestone introduced its Blizzak model — the first of the studless winter tires to perform on par with studded tires — in the U.S. These days, battling the elements is easier than ever. There are dozens of choices: multiple winter offerings from a number of tiremakers. On the other hand, in the era of antilock brakes, stability control systems, all-wheel-drive and all-season tires, who needs snow tires? Snow is just one challenge among many, so forget the term “snow tires.” A more accurate term is “winter tires,” as they’re designed to improve acceleration, braking and handling across the whole range of cold-weather conditions. Of course, such challenges have been overcome to some extent by the sophisticated safety equipment that’s now standard on so many vehicles. It’s easy to be lulled into a sense of near-invincibility by ABS, VSC and a slew of other engineering wonders whose three-letter-acronyms (TLAs) have become part of our everyday language. The engineering involved in developing winter tires is, as one might guess, remarkably complex. Still, it more or less comes down to three factors: tread design, tread depth and the rubber compound. Winter tires use siping, a series of slits in the tread blocks, to increase the number of edges in the tire’s contact patch. As the tread blocks flex, each edge bites into the snow and ice. Greater tread depth allows for flexing and helps channel snow and slush across the tire’s surface, away from the contact patch. The type of rubber itself is also important. Winter tires are built using rubber compounds that remain soft even in extremely low temperatures. On the other hand, most summer and all-season tires use rubber compounds that harden at low temperatures, resulting in compromised cold-weather performance. If you want the best tire when conditions are the worst, choose a studless snow and ice tire. In an appeal to tire dealers, published earlier 2009 in Tire Review, Burfien warned: “Stopping distances can double if you are not using a winter tire as temperatures decline.” Sounds like a man who wants to sell you another set of tires, doesn’t it? Last year, Inside Line compared different performance characteristics of summer, all-season and winter tires in various conditions, including — of course — snow and ice. The all-season rubber took 16-18 percent more real estate to stop, compared to the winter tires. And the summer tires? More than 120 percent longer. Skid pad numbers illustrated a similar trend, but the differences in straight-line acceleration were truly remarkable. Whereas all-season tires slowed 0-40-mph times by 24 percent, their warm-weather cousins took 257 percent more time — nearly 42 seconds — to propel our Civic Si sedan across the frozen tundra. The lesson? For winter driving, you need winter tires. Seasons Change. Why Not Attitudes? Of course, winter tires can be a hard sell in parts of the country where precipitation is generally limited to the liquid variety. But, with today’s improved cold-weather offerings, many drivers south of the Snowbelt ought to be rethinking their choice of tires, too. OK, OK. But which winter tire? The variety, many of which have names straight out of a Pixar blockbuster — in addition to the aforementioned Blizzak, there’s Dunlop’s Graspic, Hankook’s Icebear and Nokian’s Hakkapeliitta — can be overwhelming. For some consumers, especially those who aren’t sold on winter tires to begin with, the semiannual ritual of swapping tires has been a convenient excuse to stick with something — anything — year-round. The solution? A dedicated cold-weather wheel-tire set. Among the many advantages is the wear and tear you save on your wheels. Each time you have tires removed or installed, you run the risk of damaging those pricey alloys — some of which cost nearly as much as a set of winter rubber mounted on steel rims (assuming a steel option is available). Tire-pressure monitoring system (TPMS) sensors are also vulnerable (see note below). Of course, having two sets of tires also extends the life of your fair-weather rubber. And again, if you’re running something fancy, the savings can go a long way toward the purchase of winter gear. A standby set also allows you to prepare for the inevitable on your own terms. Rather than waiting until the snow flies — and then competing for an appointment with fellow procrastinators — you have the option of doing it yourself, in your driveway or garage. If all that weren’t enough, there’s another — less obvious — benefit: minus-sizing, something Rogers says tire dealers have promoted for years. It’s “the reverse of plus-sizing,” he explains, “which people often do in the summertime to gain performance and handling on clear roads. As a result, your vehicle goes through the snow, rather than over it. And with a narrower tire, there’s less of it to go through. Of course, the drivers who benefit most from minus-sizing are those who live in the harshest climates. Margadonna suggests another option along the same lines: dropping down a step in speed rating if it means getting a more capable winter tire, especially on ice (though, of course, this doesn’t require a separate set of tires and wheels). Drivers of TPMS-equipped vehicles need to exercise a bit of extra care when swapping wheel-tire sets. Or maybe not. Some systems “learn” on their own, while others can be programmed by any shade-tree mechanic in possession of the right tool. Still others require a trip toyour mechanic. Whatever the case, TPMS is no excuse for running the wrong tires. Speaking of excuses, don’t even think about installing just two winter tires. Maybe your father used snow tires only for the rear axle of the family station wagon, but he also gapped the points on the distributor and added STP at regular intervals. Times change. If you live in an area that gets consistently cold temperatures during the winter, a set of dedicated winter tires will make a world of difference. Contrary to popular belief, it’s not the tread that makes all the difference, it’s the rubber. Even if your daily driver has all-wheel drive, traction control and a really great set of all-season tires, it might not go anywhere if cold temperatures turn your tires into rocks. Winter tires not only have more aggressive tread designs, they also have rubber that stays soft in the coldest temperatures. It’s a difference that you’ll feel no matter what kind of vehicle you drive. Sure, swapping out tires twice a year is a bit of a hassle, but you’ll get better performance and longer life out of each set of tires. Ready to put away your hammer? Then check out Inside Line’s Winter Tire Buyer’s Guide, where you’ll find 25 different winter tire options from 14 manufacturers, representing the whole range of tire technology and vehicle fitments. I hit a pothole. Is my vehicle is OK? Drivers know immediately when they hit a pothole. However, it isn’t always immediately clear if hitting the pothole caused damage to their vehicle, and if it did, to what extent. Unfortunately, potholes can do more damage than just knocking the alignment out of adjustment on your vehicle. 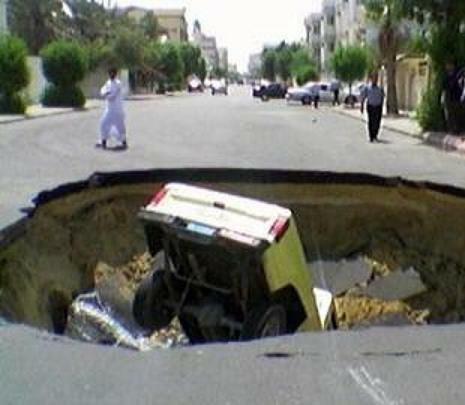 Hitting potholes can damage your tires, wheels, steering and suspension, bend parts, and even sometimes bend the frame. 1. Pulling in one direction, instead of maintaining a straight path, and uneven tire wear. These symptoms mean there’s an alignment problem. Proper wheel alignment is important for the lifespan of tires and helps ensure safe handling. 2. Low tire pressure, bulges or blisters on the sidewalls, or dents in the rim. These problems will be visible and should be checked out as soon as possible as tires are the critical connection between your car and the road in all sorts of driving conditions. 3. Loss of control, swaying when making routine turns, bottoming-out on city streets or bouncing excessively on rough roads. These are indicators that the steering and suspension may have been damaged. The steering and suspension are key safety-related systems. Together, they largely determine your car’s ride and handling. Key components are shocks and/or struts, the steering knuckle, ball joints, the steering rack/box, bearings, seals and hub units and tie rod ends. It is recommended that motorists who experience any of the following warning signs after hitting a pothole should have a professional technician with experience in frame, alignment and suspension expertise (www.foxandfoxservice.com) inspect their vehicle. Fall is here and the weather is changing. One morning you will wake up to find it clear and crisp with temperatures in th 60s. The next morning it is dark and gloomy with bone chilling rain. The changes aren’t hard to notice. However it is important to remember that we aren’t the only ones reacting to the frequent weather changes of fall; your vehicle’s tire pressure reacts to the temperature changes as well. 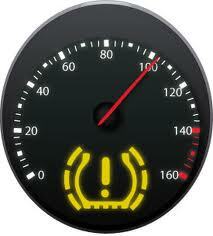 A TPMS is an electronic system that advises the driver of either a low pressure condition or system malfunction. The driver is made aware of either one of these conditions via an icon, (It looks like an exclaimation point in a tire surrounded by parenthesis.) an other warning, or both. Now to answer the WHY… Why have a Tire Pressure Monitoring System in your vehicle? Tires are very important to your vehicle. With proper inflation and tread, you can increase your fuel efficency. But more importantly, if tires are not properly inflated or have low tread, that can translate into poor vehicle performance and decreased safety for you, your passengers and others on the road. According to the National Transportation Safety Board, inproper tire inflation is the cause of approximately 25,000 accidents annually. This is a large number! These accidents could have easily been avoided by properly monitoring tire pressure. Unfortunately, not everyone monitors their tire pressure or even knows how. 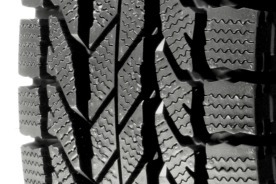 In order to reduce the number of accidents related to low tire pressure, vehicle manufactuers have now been mandated by the TREAD act and Federal Motor Vehicle Safety Standard (FMVSS), to install a Tire Pressure Monitoring System on passenger cars, trucks, multi-purpose passenger vehicles, and buses under 10,000 lbs. That means that if your vehicle is a 2006 or newer, you could/should have a TPMS system in your vehicle. That means that drivers no longer need to monitor their vehicle’s tire pressure anymore, right? No, not exactly. Ultimately your TPMS system is a TOOL to help maintain proper pressure. Each sensor communicates directly to the system. The sensor needs to be reprogramed each time the tire is removed. Also TPMS sensor only have a battery life of only a few years and will need to be replaced. Suprisingly, not all service providers know how to service, or remember to properly service your TPMS system. This can cause the system to not provide information when needed or provide the wrong information. Just yesterday we had gotten a customer who had come in because their TPMS light on their dashboard had signaled their left rear tire was low. After several attempts by the driver to fill the tire with more air, the light had not gone off. Upon closer inspection, our technician found that the left rear tire was grossly OVERINFLATED and the right front tire was actually the tire that was low. This is a problem. Our technican remedied it by reprogramming the sensor and ensuring that the tires were filled to the proper levels. Ultimately having properly functioning TPMS is an important tool for greater fuel efficency, increased safety and overall performance of your vehicle; but it is also essential to have a knowledgeable auto care facility on your team as well. Is it possible to straighten a rim instead of buying a new one? Yes we can! Rims get bent every day by impacts, usually caused by potholes or curbs. Sometimes it can just cause a slight bend in the lip of the wheel rim. Othertimes it can be a large bend which causes the tire to loose air. Looks like it is time to buy a new rim, right? Wrong! We are able to straighten rims! Wheel straightening technology was originally developed for steel wheels around the beginning of the last century. When aluminum alloy rims began to become popular in theUnited States, many people tried to fix them using steel wheel technology. It didn’t work and usually causes worse damage to the rim. Many people in the auto business still consider it “common knowledge” that aluminum rims cannot be straightened once bent, or those bent aluminum wheels can simply be “hammered out.” Neither is true. We use hydraulic pressure and customized tools to straighten aluminum alloy or steel rims to factory specifications. Our process is both an art and a science, and only qualified technicians will work on your rims. We are fully equipped to take all four rims off your car and check each rim individually for damage, as well as to mount and balance the tires after straightening. Checking all four rims and straightening any that need repair generally takes 1-2 hours, by appointment or 1-2 days if the rims are dropped off. Fall is a great time of year to schedule your annual full major service, making sure your vehicle is in the best shape possible to safetly cope with the slick streets and cold temperatures of the winter months. Air filter*: Inspect the filter for dirt and tears in the paper and replace if necessary. This should be inspected AT LEAST two times a year. Anti-freeze*: In the winter anti-freeze prevents freezing, which would overheat the engine as it would stop the flow of the coolant. Make sure you use the correct concentration. Check your battery*: Check your battery for corrosion and make sure the terminals are clean and dry. Keep the battery fully charged. If the battery levels are too low, your vehicle might not have enough charge to turn over and start in cold weather. You don’t want to be stranded! Inspect your brakes: Check your brakes and brake fluid twice a year to make sure everything is in order. If your car has an anti-lock braking system (ABS) keep an eye on your dashboard indicator. Another tell-tale that your brakes need serviced would be any squealing, gripping or grinding occurring when the brakes are applied. Our brake inspections are reasonably priced and often times are waived if brake repairs are done the same day. Check your headlights: Make sure they are free from damage and they are clean. Over time headlights will yellow and get small cracks in the surface. It is possible buff them instead of replacing the whole headlight assembly. It is a great service that saves you lots of money. Please look for our blog on headlight buffing. Check your engine oil*: You can check your oil level and condition by removing the dipstick. If the oil looks black then it is time to do an oil change. Windshield Washer Fluid*: Always ensure your washer container is topped up to the specified amount with windshield washer fluid in winter. Salt, dirt and snow can slosh up on your windshield and impair your vision. Especially for dark mornings or evening driving, this is essential. Inspect your tires*: With the hazards of black ice, snow and poor visibility in winter, it’s essential to make sure your tires are in good condition. Make sure tires have proper tread depth and are properly inflated. Windshield wipers*: Wipers are essential in clearing the view through your windshield, particularly in winter when grit and salt is thrown from the road onto your windshield. Check for cracks or splitting and replace if required. Every time you start your car they glow to greet you, but after a few seconds of engine operation they fade away – hopefully not to be seen again until the next engine start. As part of Car Care Month, AAA is urging motorists to heed their car’s cry for attention and be aware of the red and yellow indicators on the instrument panel that illuminate to let you know when a problem occurs. When the ignition key is first turned to the ON position, all of the vehicle’s warning lights should illuminate. The “big three” lights typically remain on until the engine is started and running. 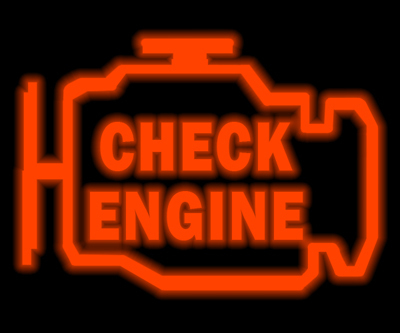 If a warning light fails to illuminate at this time, have the related system checked out by a AAA Approved Auto Repair facility. (Like Fox & Fox) Once the engine is running, all the warning lights should go out within a few seconds. If any light remains illuminated, consult your owner’s manual or the sections below for further information. The engine oil pressure warning light commonly displays an oil can symbol or the word “OIL.” When the oil pressure warning light illuminates, the engine has lost its supply of pressurized lubricating oil and severe engine damage or catastrophic failure can occur within seconds. Of all the warning lights, the oil pressure light indicates the greatest potential for serious mechanical damage, and also allows you the shortest time in which to take appropriate action. If the oil pressure warning light comes on and stays on: pull off the road immediately, shut off the engine, and call AAA to have your vehicle towed to an Approved Auto Repair facility. Unless you are in an extremely dangerous situation, do not attempt to drive the vehicle any farther. This can significantly increase the extent of any engine damage – turning a possibly minor repair into a complete engine replacement. The engine coolant temperature warning light commonly displays a thermometer symbol or the logo “TEMP.” When the coolant temperature light illuminates, the engine temperature has exceeded the safe maximum. Until the rise in coolant temperature is reversed, the engine will suffer accelerated wear. If the increase in temperature continues, major engine damage or catastrophic failure will result. The coolant temperature warning light is second only to the oil pressure warning light in indicating the potential for serious mechanical damage. However, the coolant temperature light does give you a little more time in which to take appropriate action. The charging system warning light commonly displays a battery symbol or the logo “ALT” or “GEN.” When the charging system warning light illuminates, the vehicle electrical system is no longer being supplied with power by the alternator. If the charging system warning light comes on, turn off all unnecessary electrical accessories and drive to the nearest repair facility to have the vehicle checked. If you are some distance from a repair shop, drive to a safe location where you can call AAA to have your vehicle towed to an Approved Auto Repair facility. AAA Approved Auto Repair facilities have been thoroughly investigated by the association and offer written estimates, the return of used parts, and a 12-month/12,000-mile warranty. In addition, AAA members receive a free maintenance inspection with paid repairs, and the right to have AAA mediate any dispute regarding the work done. To locate an Approved Auto Repair facility in your area, visit the Automotive page of www.aaa.com. AAA provides more than 48 million members with travel, insurance, financial, and automotive-related services. Since its founding in 1902, the not-for-profit, fully tax-paying AAA has been an advocate for the safety and security of all travelers. It brings us much pleasure to say that we have a blog! Now we are making it even easier for you to stay up to-date with the latest Fox & Fox specials, vehicle related articles, vehicle maintenance tips, money saving services and more!